Abstract: Framed sheaves over surfaces first appeared as a generalisation of framed SU(r) instantons on S^4. Later, Uhlenbeck provided a compactification for the moduli space of framed SU(r) instantons which through the Donaldson correspondence and the work of Li and Morgan produced the so called Donaldson-Uhlenbeck compactification of the moduli space of framed sheaves. We want to focus on a further generalisation to the moduli space of framed sheaves on Deligne-Mumford stacks and construct an analogous compactification. This is work in progress with U. Bruzzo. 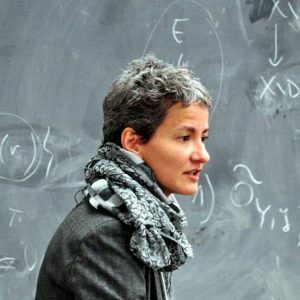 Dr Marina Logares has been invited to speak at the workshop “Singular Geometry and Higgs Bundles in String Theory” in San Jose in California in October/November 2017. This meeting is organised by the American Institute of Mathematics and participation is by invitation only. 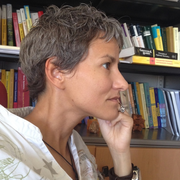 Marina’s research is on the geometry of singular curves as used in physics theories in and beyond the Standard Model. The Festival of Physics will be at the University of Plymouth on Saturday 18th November. The event is free and you can get tickets here. The event is organized by the South-West branch of the Institute of Physics. There will be a poster from CMS at the lunch time session. The post below was written by Edward Evans, a student just starting the third year of an undergraduate degree in mathematics at Plymouth University. 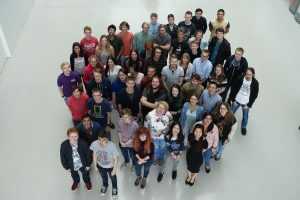 The LMS Summer School, held at the University of Manchester, consisted of six short lecture courses designed to give an introduction to areas of higher mathematics unlikely to have been encountered as part of a typical undergraduate mathematics degree. The topics were fairly evenly split between pure and applied mathematics to reflect the varying interests of the participants. Accompanying each lecture course were group based problem sessions, giving us a chance to talk about and develop the concepts that had been discussed in the lectures. I found the discussion element of these sessions particularly enjoyable, owing to the diversity of the other participants’ interests (that is, I learned about a lot of exotic physical principles with cool names). In addition to these more formal lecture courses, there were daily colloquia, again on a range of pure and applied mathematical topics. These were often more (mind-blowingly) difficult to follow and didn’t go into as much detail, but were extremely interesting nonetheless, with topics including the Radon transform (with applications in the reconstruction of CT scan images) and Alexander Grothendieck’s “Dessins d’Enfants” (a type of combinatorial graph which supposedly resembles a child’s drawing, hence the name). Most days also included some sort of entertainment (live music etc. ), organised by Dr. James Montaldi of Manchester University, and there were weekend excursions to the Museum of Science and Industry and to the Peak District. After attending the summer school I’m certain I’d like to continue my study of mathematics after my undergraduate degree, and if you are thinking about doing the same then I’d highly recommend speaking to a lecturer about the summer school; I loved it!